As I explain more fully the Marks of the Beast and how we are affected by them is explained in my lecture & writings. Just briefly however, the Great Apostasy does not mean a complete abandonment of Christian principals, but is made up of the Vatican II Council of a syncretism, humanistic, & inter-faith gospel which is being implemented by the imposition of the Secular, liberal, democracy, the U.N. E.U., IMF with the Vatican II church. (Religious Liberty). This system has to spread throughout the world before Christ comes back. However you might say most of the world has accepted this agenda. However, it appears the Orthodox Russian Church is now opposing the whore of Babylon. Scriptures indicates it’s down fall before the end. Regardless, this does not produce another true Pope or reverse the Second Coming of Christ. Ecumenism’s promise of ‘all one big family’ denies Christ’s Divinity and paves the way for the AntiChrist and his new one world religion. 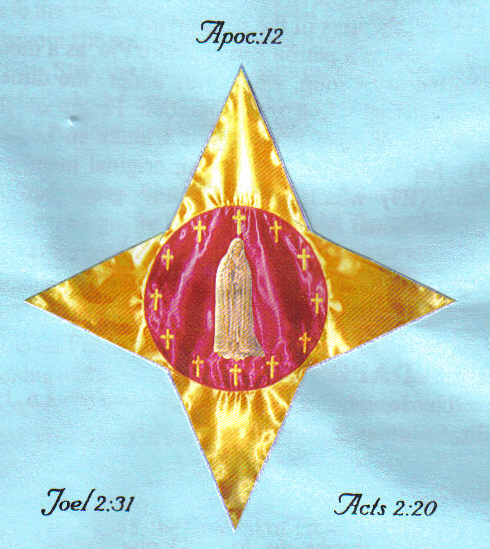 Pope John 23 is the Star who falls from heaven, Apoc. 9, who opens the gates of Hell, theVatican II Council. Stating; he wants to bring all the Christians together, but really means all religions together. So he has new Bibles printed making Jesus just another prophet by changing prophecy of, “a Virgin shall conceive to a young woman is with child, etc etc…” These changes make Jesus just another prophet. Gifting us, The “Man of Sin”, (Paul VI) who ushers in the “Great Apostasy.” (Schism). It’s not, the Great Apostasy first, then the AntiChrists. Every V-2 pope is an AntiChrist. (A God against God – an imitation Jesus Christ a false Pope). These prophecies fit John Paul II. He will be admired by the world, [Apoc.13:3-5,] John Paul II was the man of the 20th century. He will be wounded but live. [13:14] shot on May 13. He will be accepted by the Jews. First pope to go into a Synagogue [Jn. 5:43] April 13, 1986. He has two horns like those of a lamb but speaks as a Dragon. (Heretic) [Apoc 13:11] First time popes have taken TWO NAMES of previous popes. Every pope or bishop is a prophet, a Horn of salvation. [Luke 1:69]. Not Rome, but the Vatican has become the Spiritual seat of the AntiChrist. Nevertheless, Scriptures indicates that the Vatican opens a second Vatican City in Jerusalem. Jerusalem already has an infrastructure for the international agenda. The Papacy could be moved to Jerusalem before this is over for the gathering of all main Religions as they did at Assisi, Italy. This has one advantage for the Traditional Catholics as all countries will have to open their doors to all Religions which will help us as well. In order to give the world a last chance to repent before Christ comes back. Divine Revelation indicates that we will never recover Peters Chair. There will never be another true Pope. Even though most all the countries in the world will accept “The Marks of the Beast,” ( The inter-faith Gospel) but individual Traditional Catholics will not. However it is a lot more difficult to find a job these days without compromising the faith. The Billy Graham enterprises represent the protestant participation with the interfaith agenda and B.G. was one of the false prophets in the Bible. One of these AntiChrists will clash with the Jews, as Benedict XVI did with the recent liturgy change for Good Friday (Feb. 08) in approving the 62 Missal reinstating that the Jews needed to be saved. [Apoc: 17:16]. (This was done to please the SSPX then he lifts their excommunication, Jews in uproar.) Then came, the Bishop Williams public holocaust denial. However, this does not cause a split in the Vatican and Jewish relations. Christ cannot come back until all or most of the Major Religions join up with Apostate Rome. The three main religions of the Beast of the Apocalypse are the Apostate Catholic Church, the Protestant and the Jews, the rest are just tag a longs. Jesus commands us to be ever-watchful for his return, and ever-mindful that we have no lasting city on earth. The end of the present world and the Mysteries of the Future Life is an invaluable aid to inculcating in your spirit that heavenly orientation, without which true human happiness cannot be found—in this world or the next, unless you get to Heaven. In these lectured C/D, booklets & documents explains about when Christ will return, why He will come back on Pentecost Sunday, the Ant-Christ system, describes the “Marks of the Beast,” and shows where the V-2 Council is located in the Scriptures. “The Great Apostasy,” booklet focuses on the relationship of the V-2 Council with the One World Humanistic Inter-Faith Gospel working with the U.N. E.U. & IMF – for the one world secular liberal democracy. “The Day of the Lord,” booklet clarifies through Scriptures, Church teaching & Tradition why Christ will come back on Pentecost Sunday. Both booklets and C/D’s come with papers and are sold as a SET. Postage paid. Also, Father Noel Barbara’s dynamic lecture, “Why the V-2 Popes cannot be Popes.” C/D, both 90 min.long.